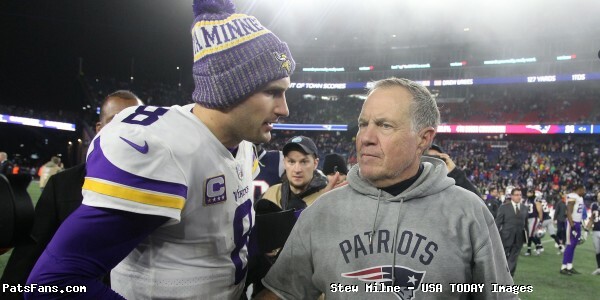 The Patriots took a workman-like approach to the game on Sunday and ground out a hard-fought 24-10 victory over the Minnesota Vikings. The victory moved the Pats to 9-3 and they have kept the #2 seed behind Kansas City who beat the Raiders on Sunday. All week there has been some loud noise from the doubters stating that maybe this team wasn’t as good as some of the other Patriots teams in the past and that the defense, bereft of playmakers would be the Achilles Heel of them. That remains to be seen but the indications are that this team is rounding into form defensively. It was the defense that stepped up, limiting the Vikings to just 10 points. Kirk Cousins was frustrated all night long as the Minnesota deep passing game was taken away and he was forced to check down for passes underneath. He completed eight passes to Dalvin Cook out of the backfield but for just 22 yards. The tackling and coverage were terrific on those. It was truly a collaborative effort when combatting Thielen who has been tearing it up in the league this season. Jason McCourty drew the assignment when Thielen lined in the slot. Stephon Gilmore covered Thielen occasionally when he was on the outside. Rookie J.C. Jackson even lined up on him once or twice. On some levels, it still seems like the team doesn’t really know what it has offensively. It really seems like Josh McDaniels and the offense is playing their cards close to their vest. They mixed things up nicely on their opening drive, a variety of runs, screen passes, and misdirection had the Vikings on their heels. They scored a touchdown but then would only add three points for the rest of the first half. They stayed conservative until late in the third quarter and then Tom Brady began pushing the ball down the field and they quickly found their rhythm. While we believe that the Patriots should be scoring more than 24 points (they certainly believe that) the fact that they rolled up 471 yards of offense on the third-ranked defense in the NFL. The Patriots defense came into this one looking to try to limit the Minnesota deep passing game. They did it extremely well, with very good coverage and an aggressive blitz scheme that keep the Vikings on their heels and made them earn every yard down the field. The Vikings were just 3-12 on third down for the game as Flores did a tremendous job of disguising their coverages and looks and dialing up the pressure that made Cousins have to get rid of the ball to his check down receivers. Cousins burned them on it, as can happen when they beat the blitz during the Vikings only touchdown drive at the end of the first half. That’s the risk you take but overall the unit played very well. And they never went away from it. They were willing to concede the running game (95 yards on 13 carries) by getting after the passer. Trey Flowers was terrific once again. We wrote before the game, lost in all of the talk about the yardage allowed by the Patriots defense thru the air was the fact that they were the 6th best team in the Opposing QB rating with a mark of 87.3. Cousins’ QB rating for Sunday was 70.3. I like that the Patriots are working in Obi Melifonwu into the game plan covering tight ends in the dime package. He was competitive going against Kyle Rudolph and certainly looked like he knocked the ball out on the sidelines. But the officials ruled it a catch. On that subject, Lativius Murray still hasn’t reached the sticks on the 4th and 1 run…no evidence? Something that goes along with McDaniels playing things close to his vest was the game of Josh Gordon. He wasn’t even targeted in the first half. Then after Minnesota tied the score, the offense looked his way when he and Brady began the next drive hooking up for a 24-yard catch and run. They’d finish the drive in a similar fashion. On a 1st-and-10 from the Vikings 24-yard line, Brady stepped up in the pocket and found Gordon all alone inside the 10. He found the open spot in the Vikings zone coverage, and Brady zipped him the ball. Gordon caught the pass at the 7-yard line, and easily cruised into the end zone. He finished with three catches for 58 yards and the score. After the game, he was asked the significance of catching Brady’s 500th TD pass and then his 579th career pass (including postseason) to tie Peyton Manning and he had this to say. Coming into this game, the thought was that the Patriots couldn’t run the way they did against the Jets when they ran for over 200 yards. They didn’t, but they came pretty close, running for 160 yards against a much, much tougher Viking front seven. The offensive line led the way with a very strong performance and didn’t allow a sack of Brady on the night. Sony Michel led the way with 63 yards on 17 carries but seven different Patriots ran the ball in a team-oriented win. 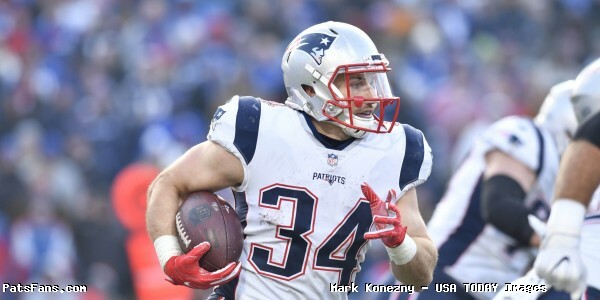 Rex Burkhead returned and had seven carries and two pass receptions. James Develin showed some respite for the short-yardage game with two short touchdown runs. Cordarrelle Patterson played against his former team and accounted for 114 yards with 1 carry for six yards, 2 catches for 53 yards and 2 kickoff returns for 55 more. James White had six carries for 26 and seven more catches for 92 for 118 yards. So with the Pittsburgh Steelers blowing a big second-half lead to the Chargers, that drops them a game and a half behind New England for the #2 seed. But Houston won again and has the same record so they can’t falter now. The Patriots move on to Miami for a “Hat and T-shirt” game for the division win next week. That’s always the first goal, win the division, get a first round bye….etc. 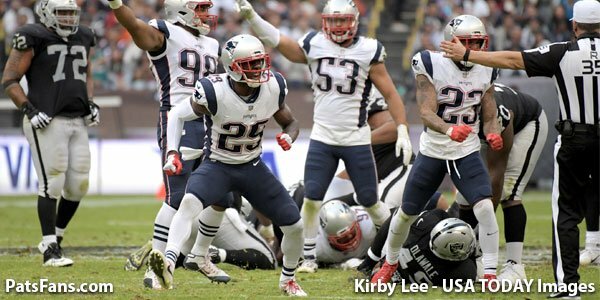 This entry was posted in 2018 Patriots Regular Season, NFL Commentary, NFL News, Patriots Commentary, Patriots Film Room, Patriots News and tagged 2018 Patriots season, Adam Thielen, Bill Belichick, Chris Hogan, Devin McCourty, Dont'a Hightower, James White, Jason McCourty, Julian Edelman, Kirk Cousins, Minnesota Vikings, New England Patriots, NFL, Patriots, Patriots edge rushers, Rob Gronkowski, Stefon Diggs, Stephon Gilmore, Tom Brady, Trey Flowers on December 3, 2018 by Steve Balestrieri. The New England Patriots return home after a few games on the road and the bye week to take on the Minnesota Vikings in a late afternoon game that will be televised by Fox. This is a very big game for both teams this week. The Patriots traditionally try to turn things up a notch in December and get ready for a deep playoff push. They are currently the #2 seed and still have a shot at being the #1 with a first-round bye. The Vikings are currently the #5 seed with a shot at still winning their division with the Bears although they trail by a game and half with still one against each other still in play. The Patriots versatile but injury-prone running back returns this week and the feeling here is that he may be eased back into things slowly. With Sony Michel playing excellent football right now, there is no need for the Patriots to overwork Burkhead right off the bat, as he hasn’t played since the first half of the Lions game in Week 3. But one area that the Patriots could use Burkhead and his versatility is in the red zone where they’ve been struggling (for them) this season. The Patriots sit at a 63 percent touchdown rate in the red zone which is 13th in the league. Not bad, but much lower than they always are. Burkhead could change that. 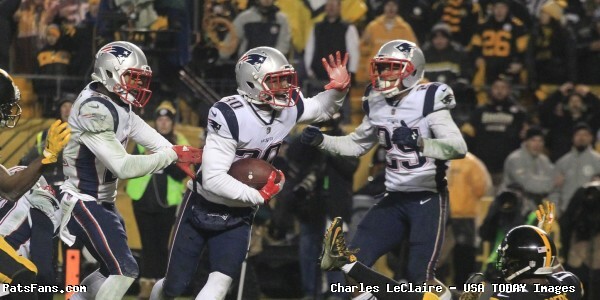 James White is an excellent receiver but just so-so as a runner. Sony Michel is having an excellent season running the ball but has yet to be fully integrated into the passing game. The team is a bit one-dimensional with those players in the game. Burkhead is more than capable of running the ball between the tackles and catching it out of the backfield. He’s also a very good blocker in pass protection. With him having a smaller workload in his first game back, we could still see Josh McDaniels having a plan to utilize him in the red zone. The Patriots best player on their front seven and arguably on their defense is going to be looked to provide a bulk of the Patriots pass rush this week. With the weapons that the Vikings have on their offense, it is imperative that the Patriots bring pressure on Kirk Cousins before his talented wide receivers (Adam Thielen and Stefon Diggs) shake loose in the secondary. The Patriots pass rush this year (and for several of the past years) has been largely stuck in neutral. It puts the secondary in the bad position of having to cover for too long. They have addressed the issue with multiple players but thus far it is still a problem. We’ll look to see if they move Flowers around some and utilize him as an interior pass rusher to get more speed and athleticism on the field. But a lot of eyes will be on the Pats best DL. They will try to attack the right side of the Minnesota offensive line, that is where they’ve been having issues protecting Cousins. The Patriots slot receiver has been terrific in several of the latest games, he set the tone for the offense last week, getting a 36-yard catch and run on the Patriots first drive of the game. He’ll be going against MacKensie Alexander this week. Alexander has been terrific over the last month +, allowing a QB rating of just 45 when opposing QBs have targeted him. Edelman has always been the guy to do the dirty work underneath and frequently takes a terrific beating while doing so. Alexander is a great matchup for Edelman and we expect to see those two battling all day long. With the excellent pass rush of the Vikings, Tom Brady will be looking to get the ball out quickly. And there is no one who has the chemistry with Brady better than Edelman. We look for him to be targeted early and often in this one. The Pats box safety had an excellent bounce-back game against the Jets last week. This week, the stakes are higher and the opposition is much better. The Vikings are a difficult matchup team for the Patriots defense due to their running back, Dalvin Cook and their tight end Kyle Rudolph, two areas that the Pats have issues defending. Chung is the team’s best tackler in the box and he’ll have to be strong in run support against Cook while being one of the defenders against Rudolph in the passing game. One thing we may see more of this week is the Patriots “Big Nickel” look with safeties taking the place of LBs in coverage. We saw just a glimpse of it last week as the Pats broke in newly signed S Obi Melifonwu and with his size and athleticism, he should be a natural at that. That would allow Chung to play closer to the line of scrimmage in the box. It is a chess match every week. The Patriots big wide receiver has been slowly finding his way in New England, learning on the fly and while he may no longer be the athletic freak he was five years ago, he still has plenty of speed and with his size, opponents have to account for him on every play. With Xavier Rhodes banged up and questionable this week, Gordon may play a big role in the game plan. But what is really exciting for Gordon is the motivation that comes with playing meaningful football games in December/January. That is a first for him and he told the media this week that he’s excited for it to happen. 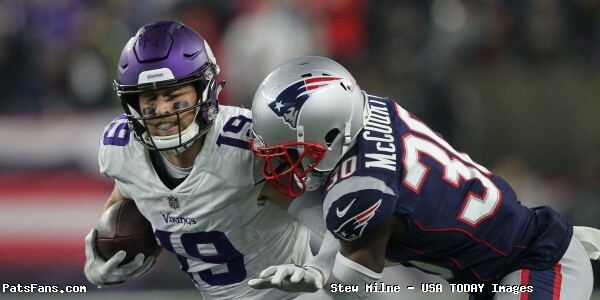 This entry was posted in 2018 Patriots Offseason, NFL Commentary, NFL News, Patriots Commentary, Patriots Film Room, Patriots News and tagged 2018 Patriots season, Adam Thielen, Bill Belichick, Chris Hogan, James White, josh gordon, Julian Edelman, Kirk Cousins, Kyle Rudolph, Mackenzie Alexander, Minnesota Vikings, New England Patriots, NFL, Pat Chung, Patriots, Patriots edge rushers, Rex Burkhead, Rob Gronkowski, Stefon Diggs, Tom Brady, Trey Flowers, Xavier Rhodes on November 30, 2018 by Steve Balestrieri. Patriots-Vikings Week 13, Key Matchups, Who Has the Razor’s Edge? The New England Patriots came off their bye week with a 27-13 win over the Jets in the Meadowlands, a much-needed road win. Now, they’re taking on the Minnesota Vikings who appear to be a much better team than their record indicates at 6-4-1. This is a huge game for both teams. Minnesota is second in their division, a game and a half behind the Bears who they play one more time on 12/30. But a loss to Chicago a few weeks ago and to the Bills early in the year have really hurt them. This week’s game will be broadcast by FOX and can be seen locally on WFXT Channel 25. Joe Buck will handle play-by-play duties with Troy Aikman as the color analyst. Erin Andrews will work from the sidelines. The game will also be aired on the Patriots flagship radio station 98.5 The Sports Hub with Bob Socci and Scott Zolak on the call, produced by Marc Capello. The Patriots (8-3) are coming off of a win over the Jets 27-13 on the road. The offense rolled up nearly 500 yards and Sony Michel gained 133 yards on 21 carries. The Vikings (6-4-1) beat the Packers 24-17 to keep their divisional hopes alive. Kirk Cousins threw for over 300 yards against the Packers despite being under pressure for most of the game. The New England Patriots and Minnesota Vikings are meeting for just the 13th time, they last met in 2014 when Cordarrelle Patterson was a member of the Vikings. The Patriots are 8-4 in their brief history and have won the last four meetings. The last time the two teams met in Foxboro was in 2010 when Brett Favre was QB for Minnesota. The Patriots running game was clicking on Sunday against the Jets as they rolled up 215 yards on the ground. Sony Michel led the way with 133 yards with James White picking up 72. Now they have Rex Burkhead back from IR with concussion/neck injuries. 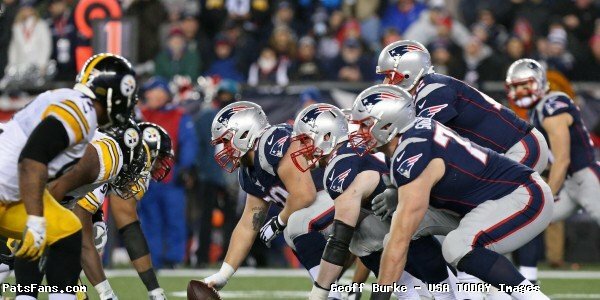 The Pats OL did a tremendous job of clearing out lanes for the backs to run, but this week they have a much tougher task. The Minnesota front seven is excellent against the run, 4th best in the league allowing an average of just 93.6 yards per game. They’re big, physical and maintain outstanding gap integrity. Linval Joseph and a resurgent Sheldon Richardson are a very, very tough pair of DTs to move in the running game. They held the Packers to just 82 yards a week ago. Look for the Patriots to mix things up, with the aggressiveness of the edge players, they may try to sneak Michel and Burkhead more toward the edge this week. But with the Vikings, they’ll have to stay patient because yards on the ground will be difficult to come by this week. The Patriots passing game is currently 11th in the league but they just got back Rob Gronkowski last week and gets back Burkhead this week. When he’s been healthy, he’s been an outstanding option in the passing game. Julian Edelman, Josh Gordon, and Chris Hogan all pose big matchup problems if Tom Brady has time to throw. The Pats OL will have their hands full with a very good pass rush. Minnesota is currently fifth best against the pass in 2018, allowing just 221.1 yards per game. Something to keep in mind, the Vikes held both Drew Brees and Aaron Rodgers to under 200 yards passing. They have excellent bookend pass rushers in Everson Griffen and Danielle Hunter, but the key is again inside. If Joseph and Richardson can push the pocket, Brady will not be able to step up and make his throws. The secondary is aggressive and athletic. But Xavier Rhodes is questionable in this one. It will be him matched up with Gordon outside, but if he can’t go, then the Vikings may opt to give help over the top. Edelman and MacKensie Alexander will be another great matchup to watch. Alexander has been terrific over the last month-plus, allowing a QB rating of just 45 when targeting him. And then there is Gronkowski, I would think they’d put Anthony Barr with safety help on him but the Rhodes situation may have some bearing on that. Home cooking is always a big deal when talking offenses. Look for Brady and the offense to use play-action a lot in this one. Of course, the Patriots will have to be aware of Harrison Smith and where he is on the field. Bill Belichick compared him to Ed Reed this week. Anyone who knows how BB feels about Reed knows that it isn’t a comparison he throws around lightly. It promises to be a fascinating matchup. Minnesota’s running game is currently 30th in the league right now averaging just 85.3 yards per game. Dalvin Cook is the lead back, but he’s been hurt for much of the season and has appeared in just six games. Latavius Murray, Mike Boone, and Ameer Abdullah also can contribute. Don’t be put off by Cook’s 3.5-yard average, he looks to be getting his explosion back. The key will be the offensive line play. The Patriots run defense has been up and down this year but they’ve been trending better in that department. Lawrence Guy has been very solid as has Trey Flowers and Kyle Van Noy in run support. The key here is setting the edge. Cook is the kind of back who has traditionally given the Pats trouble. Although I don’t expect he’ll have big numbers running the ball, as we mentioned above, setting the edge on the side opposite of Flowers will be key and that is where the Vikings will attack. The Vikings passing game is 7th in the league averaging 283.2 yards per game. They have one of the league’s most dynamic players in Adam Thielen who has caught 93 passes this season. Stefon Diggs and Laquon Treadwell give them an excellent trio. Kirk Cousins has come in and completed 71.1 percent of his passes for 3289 yards (7.1-yard average) with 22 TDs and 7 INTs. TE Kyle Rudolph and Cook out of the backfield give them a plethora of targets in the passing game. The Patriots have the league’s 25th pass defense giving up a lot of yards (269.7) but the opposing passer rating of 87.3 is the 6th best in the NFL (Minnesota is 8th). They’re competitive outside but have big issues covering tight ends and backs. How the Patriots cover Thielen will be an intriguing matchup. The Vikings like to put him in the slot, I see the Patriots using Jason McCourty with over the help safety help on most downs with him. They’ll try to matchup Diggs with Stephon Gilmore. They’re not going to shut them down regardless. They’re going to get their yards, but I expect the Patriots to be competitive there. It will be interesting to see if Belichick and Flores go back to Jonathan Jones who was benched last week for poor play or roll with the rookie J.C. Jackson who replaced him. The key here is with Rudolph and Cook. Pat Chung and Devin McCourty will have to be on top of their game’s this week. Could we see more of Obi Melifonwu helping on the tight end with his size and athleticism? Possibly. He could be the long-term answer there, but for now, I think the ball is in Chung and McCourty’s hands to do the job. The Patriots special teams normally play better at home and I think that Cordarrelle Patterson (playing against his former team) and Julian Edelman may have a big return or two in the cards for this one. The Patriots get the edge in the kicking game with Stephen Gostkowski over Dan Bailey while both punters are solid with Ryan Allen and Matt Wile for the Vikes. This should be a hold-on-to-the-edge-of-your-seat kind of game this week. I fully expect it to go right down to the wire. Both teams need the win, the Vikings to keep their division hopes alive and for the time being, to maintain the #5 seed. The Patriots are currently the #2 seed, a game behind KC and with a Chiefs’ slip up, they could slide into the #1 spot due to a tie-breaker. Keys to the game from a New England perspective. Third Down/Red Zone: Minnesota is one of the best defensive teams in each of these categories for a reason. Minnesota is 2nd in the RZ and 1st on 3rd Down. With a full complement of offensive weapons, the Patriots have to play better in each this week. Burkhead could be their “X-Factor” here. The playcalling from Josh McDaniels in the red zone will be something to watch this week. The calls have been a bit predictable and we’ll see if they mix it up. Defensively, the Patriots must get off the field on 3rd down. Look for Brian Flores and Belichick to be more aggressive this week. They should take a few more risks in order to bring pressure on Cousins. If they’re getting the job done against the run, we could see more of the lighter fronts with moving Trey Flowers inside as an interior pass rusher or Deatrich Wise and Adam Butler in the same role. No Turnovers: The Vikings are an aggressive bunch and can create turnovers on defense, they will at times roll the dice and be susceptible to a big play. 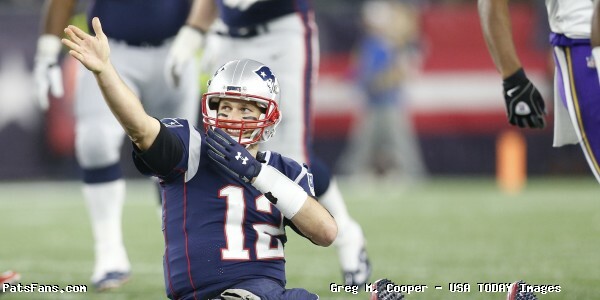 Brady has to be spot on and recognize his opportunities and produce. Defensively, the Pats likewise will have to roll the dice and blitz Cousins. The pass rush has been nowhere near good enough. Could it cost them six? With this team, easily but that is what they’re going to have to do to slow them down. Stay Balanced: The Pats are an excellent offense when they can run and pass. With everyone getting healthy offensively both in skill positions and on the OL, they have to remain balanced and not give the Vikings the advantage of dialing it up when they’re in 3rd and long. The weather forecast is calling for rain early (like every weekend this fall) but may taper off later in the game. The wet ball could be a factor, we’ll have to see. 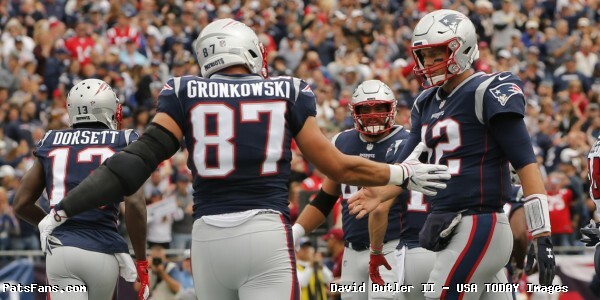 This entry was posted in 2018 Patriots Regular Season, NFL Commentary, NFL News, Patriots Commentary, Patriots Film Room, Patriots News and tagged 2018 Patriots season, Adam Thielen, Bill Belichick, Chris Hogan, Dalvin Cook, Dont'a Hightower, Harrison Smith, James White, Julian Edelman, Kirk Cousins, Mike Zimmer, Minnesota Vikings, New England Patriots, NFL, Patriots edge rushers, Pats, Rob Gronkowski, Stefon Diggs, Stephon Gilmore, Tom Brady, Trey Flowers, Xavier Rhodes on November 30, 2018 by Steve Balestrieri. 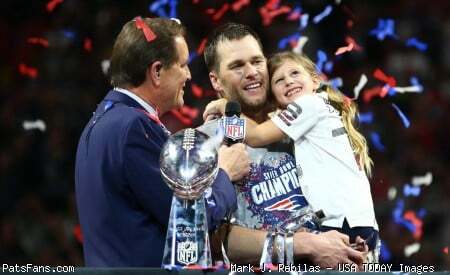 In this episode, we started off by sharing our predictions on the possibility of the Patriots winning another title, and becoming a Double Dynasty. We then shared our views on the Seth Wickersham article on ESPN.com. Next, we looked back at all of the games on Wild Card Weekend. After that we previewed the other Divisional Round games. 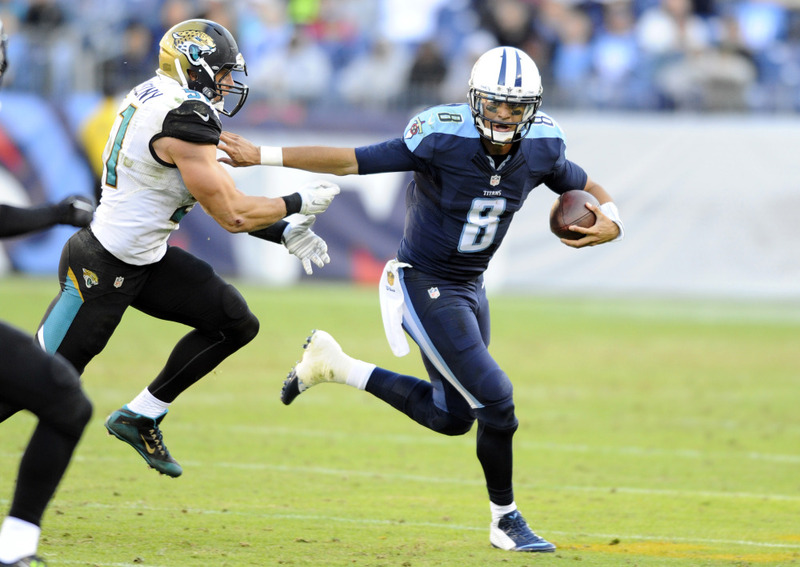 We finished the show by previewing the upcoming game for the Patriots against the Titans. 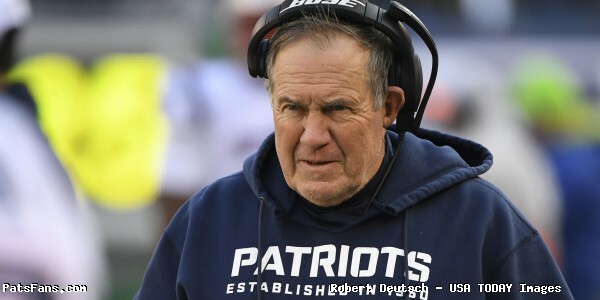 This entry was posted in Patriots Podcast and tagged 2017 Patriots Season, Atlanta Falcons, Bill Belichick, Chris Hogan, Jacksonville Jaguars, Minnesota Vikings, New Orleans Saints, NFL, Patriots edge rushers, Philadelphia Eagles, Pittsburgh Steelers, Tennessee Titans, Tom Brady on January 9, 2018 by Russ Goldman.